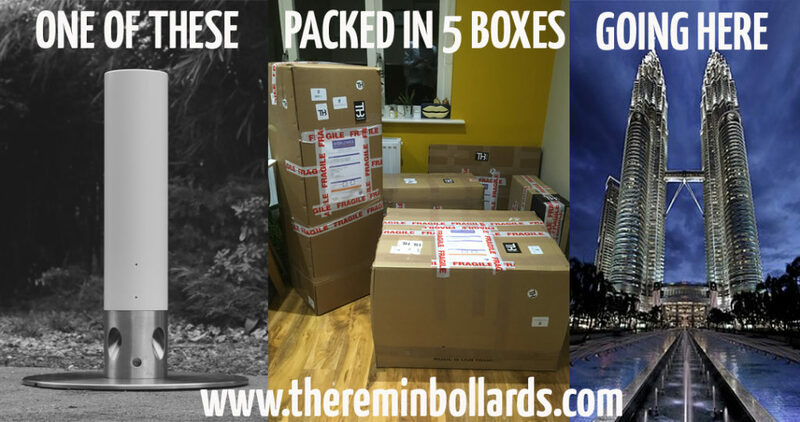 But what is a Theremin Bollard? 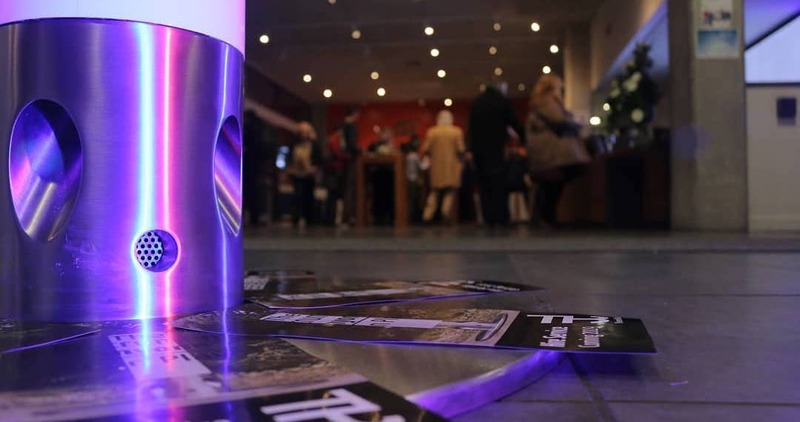 A Theremin Bollard can be used as an interactive sound scape, a technical instrument or an entertainment piece for all. 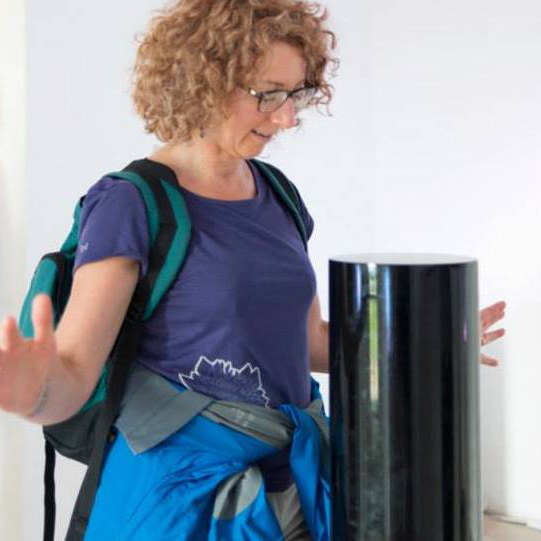 All movements create a unique user experience that can be enjoyed by all ages. At its most basic level a movement towards the Bollard will increase the pitch and a movement away will decrease it. But its so much more than that. Within a few minutes you will begin to understand how your movements affect the sounds and and even those with no prior experience can create beautiful music. It has been a long time since I have seen an interactive project such as this generate such immense interest wherever it is displayed. 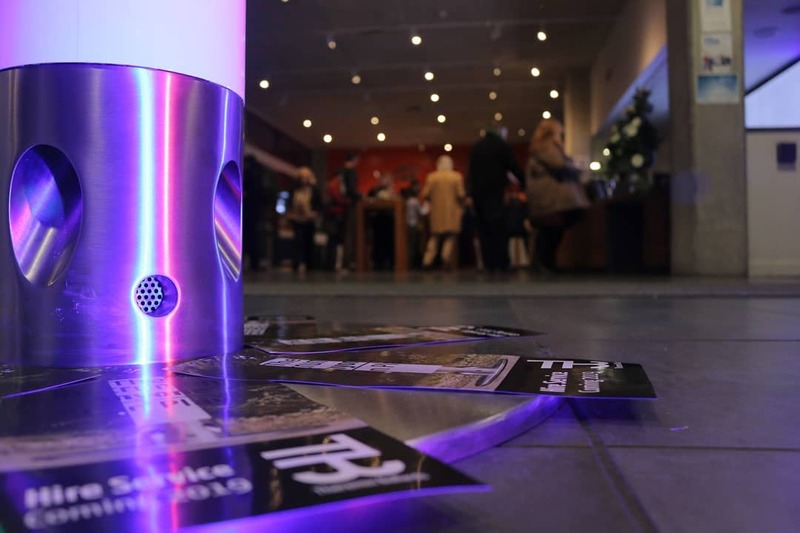 Young’s Theremin Bollards are an example of truly beautiful, inclusive design and a great example of great landscape art. There is something about the elegance of this Kubric like monolith that seems to excite all passers-by who cant resist engaging with it. Really fun to experiment with the all the sounds and to interact with it. 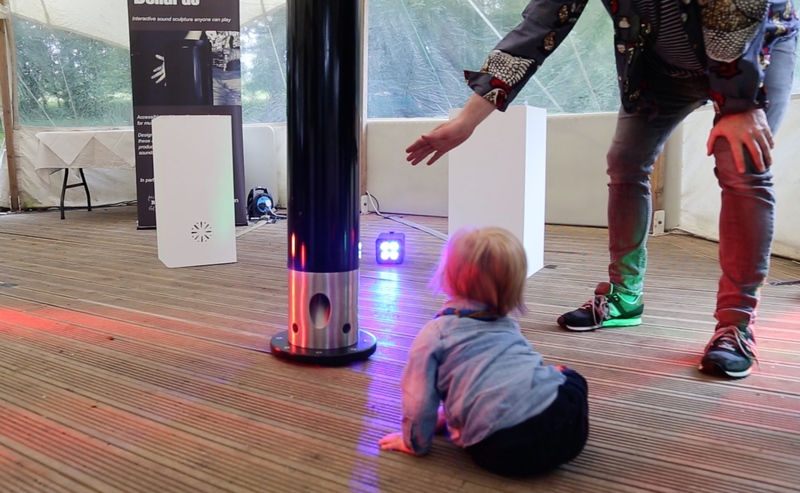 Theremin bollards is in interesting version of the theremin, brilliantly build by David Young. 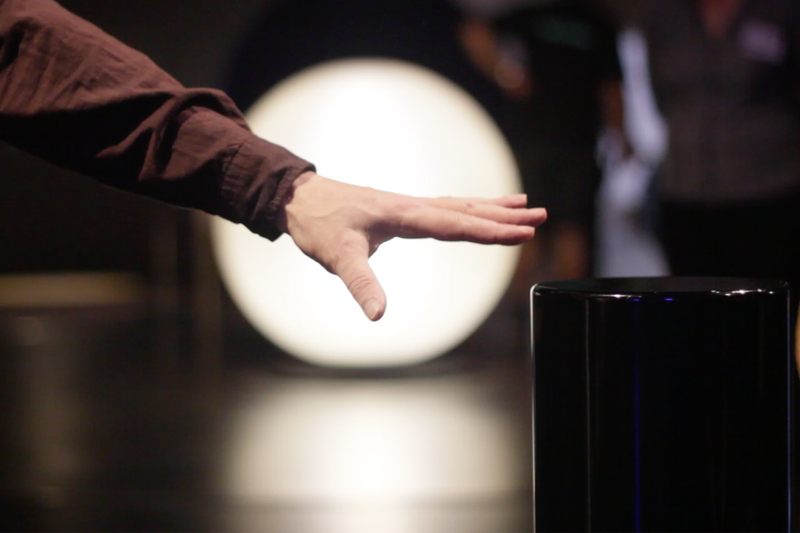 This a extremely fun and inspiring invention combining wonderment and exploration through movement! It looks attractive, it is easy to understand and it is a great enjoyment to interact with. This is just ace, I can see so many things this could be used for. 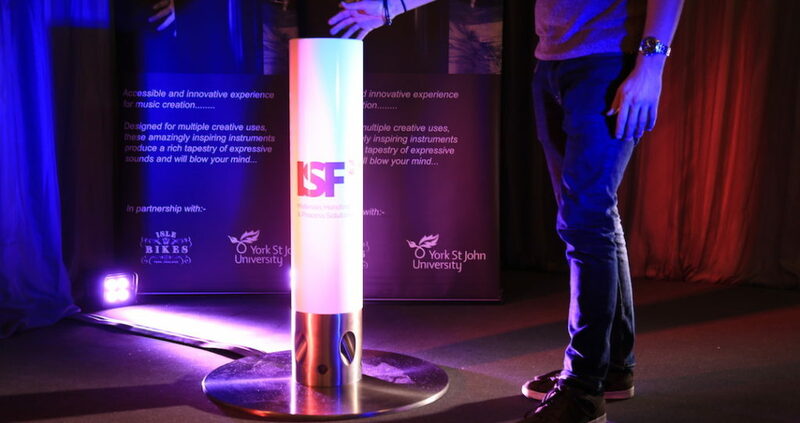 Fantastic way to help get people to communicate and to create music. It could be fun, it could be educational, it brings joy and freedom. The instrument involves your movement, your ear, your imagination and concentration. Suitable in many places: in public open areas, schools, institutions for elderly or disabled. Awesome, It worked like Magic! I loved it and want one! Its so cool i want one. I'm really looking forward to the day when I get near these again. Incredible, amazing, awesome. C'est magnifique, talentueux, extraordinaire! 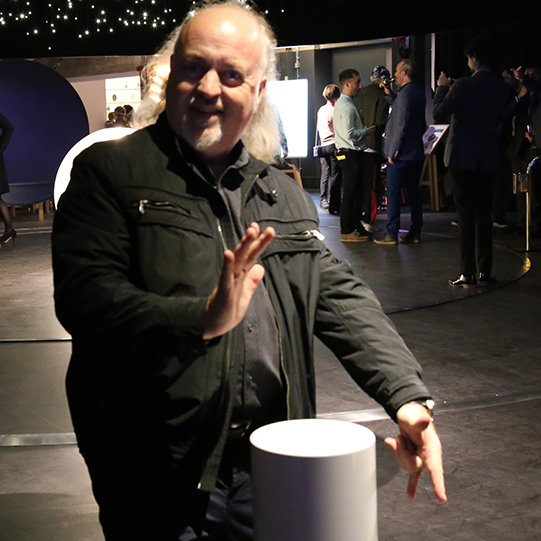 Bill Bailey playing our Theremin Bollards at Wonderlab, Science Museum, London, UK. Theremin Bollards installation at the Yorkshire Sculpture Park, Bretton Park, Yorkshire. 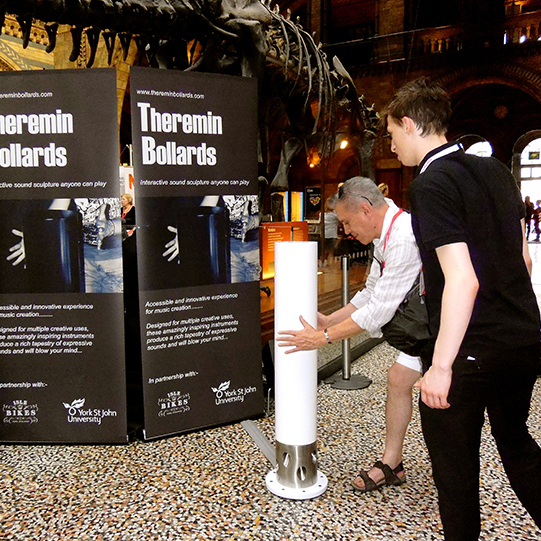 Theremin Bollards meet Dippy the Dinosaur at the Natural History Museum, London.